“Sneakers are a new era. Anyone can feel new with a new pair of shoes. They make you feel contemporary.” – Giuseppe Zanotti, Italian fashion designer. According to Business Insider, sneakers have a $1 billion resale market. These shoes that so comfortably complete an outfit have evolved into a way of life. Consumers camp out for multiple nights on the sidewalk in the middle of winter in hopes of obtaining a limited release. All of these factors contribute to the inflation of price for some sneakers. Would you believe a particular pair of can cost you more than a car? Back to the Future II premiered in 1989 and gave fans their first look at the shoes 27 years in the making. Michael J. Fox was sporting a futuristic pair of Nikes in the film that would eventually be released in 2016. 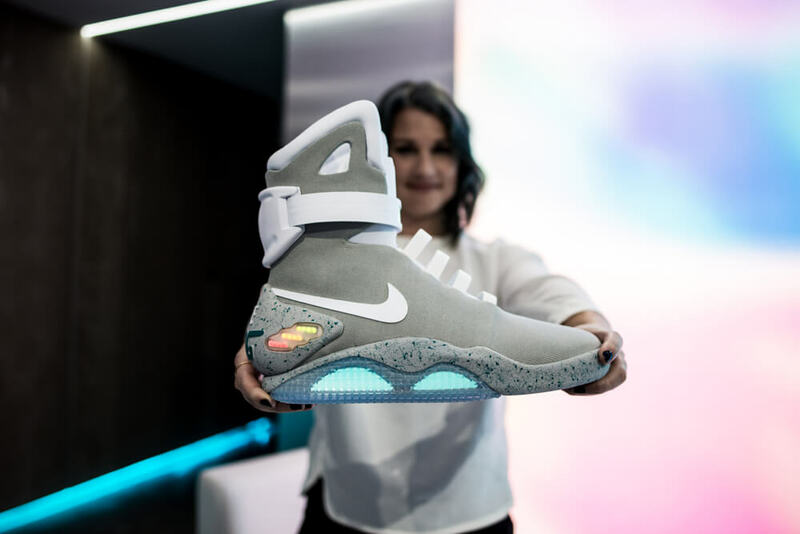 The Nike Mag 2016 is one of the most expensive shoes to ever hit the market. Initially, you were only able to grab a pair of the self-lacing sneakers from a fundraiser raffle back in Oct. of 2016. The resale value of these shoes went through the roof. You can find them online for around $26k. The Nike Dunk SB series has a large fan following thanks in part to the countless designs the collection releases. They often collaborate with other brands too, such as Tiffanys, the jewelry company. For this collaborative effort, Nike decided to call upon nature. 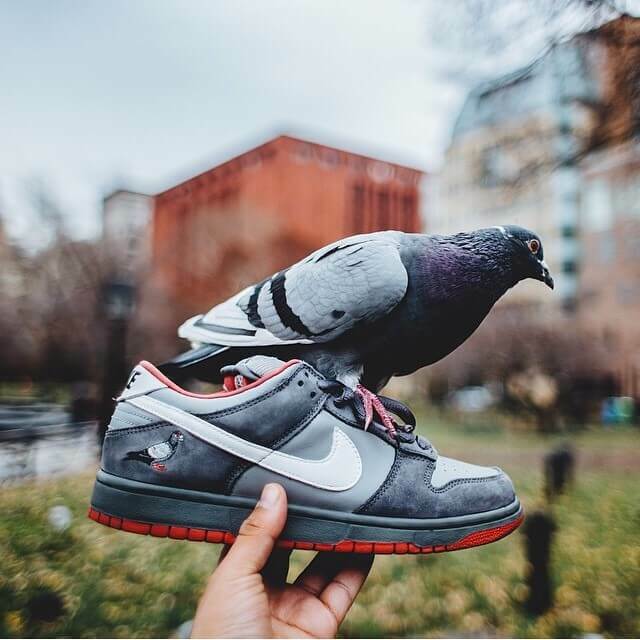 The Dunk SB Pigeon might feature a lowly bird; however, the price is anything but. Upon release, the shoe retailed at $200. Now, you’d be lucky to find a pair for less than $6,000. No wonder this is a lucrative field. Louis Vuitton is already one of the more upscale fashion brands out there. Then, they decided to collaborate with one of the most pricey street wear brands, Supreme. 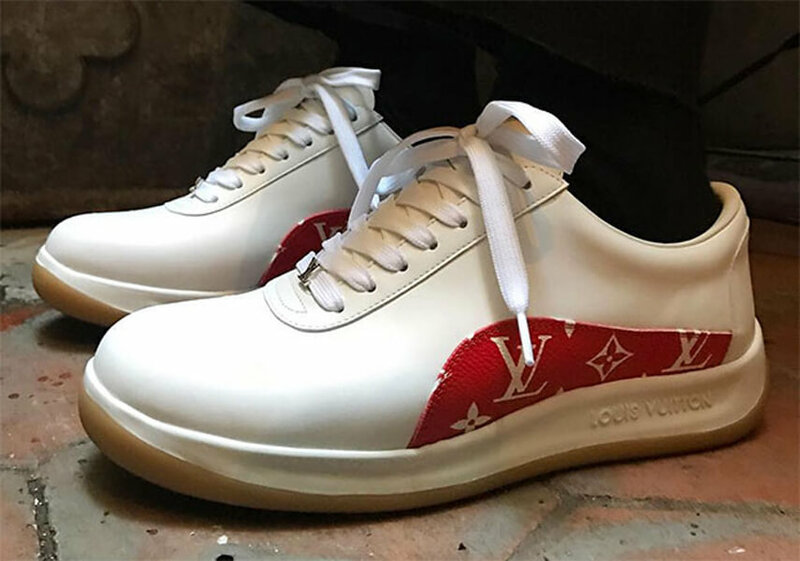 They produced the Supreme x Louis Vuitton Sport Sneaker that had an original retail price of $800. Considering how anticipated this release was, $800 is a fairly modest price. 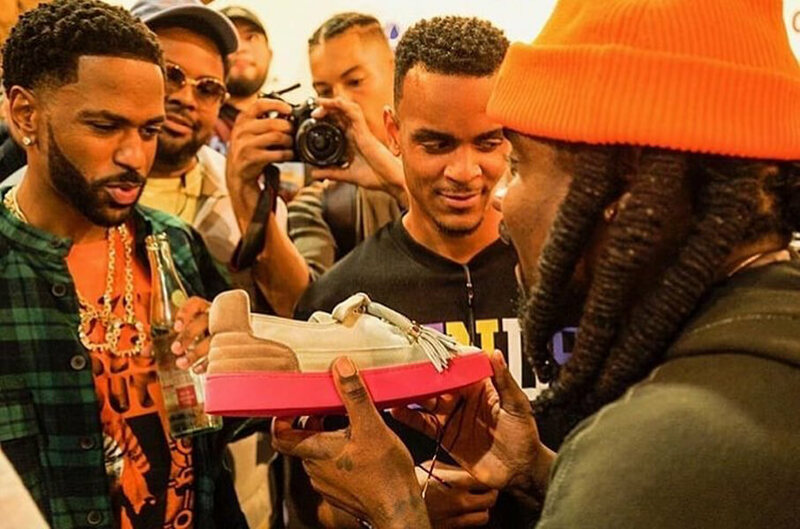 Then the sneaker collectors took the shoe and raised the price. They are now valued at between $1000 and $2,500. For those who dabble in the upper echelon of fashion, you know Versace is not the place to shop on a budget. Ordinarily, Versace focuses on apparel more than sneakers and have typically been quiet in that department. 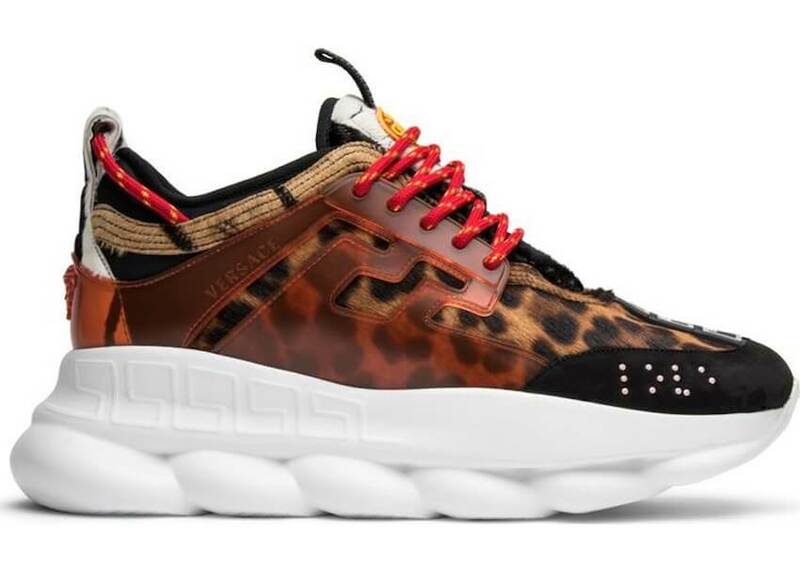 In 2018 that changed with the Chain Reaction shoe. This sneaker was designed by the former Yeezy designer, Salehe Bembury. The shoe comes in multiple colorways, but it’s this specific style that retails at $1350. Buyers reselling the shoes are able to squeeze an extra $200 from that. Drake signed a partnership deal with Jordan Brand back in 2013. At that time Drake wasn’t nearly as globally-known and was barely the phenom he is in 2018. Still, Jordan took a leap, and the dividends have been miraculous. 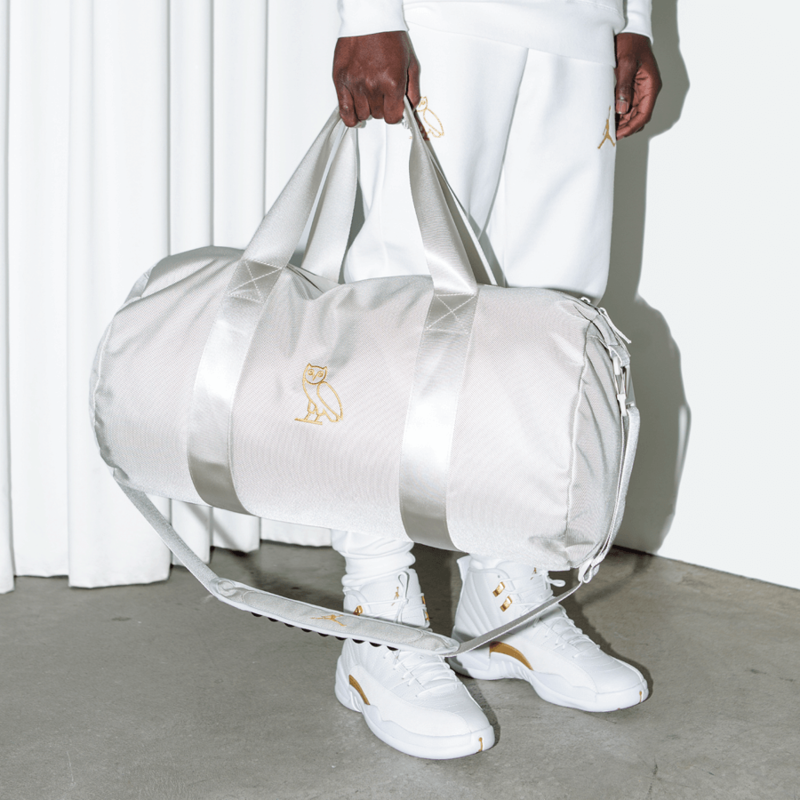 In 2016, Drake announced the arrival of his Air Jordan 12 OVO. For their release, they were $225 and only had a limited pair come out. With such a small amount circulating out there and no restock in sight, to grab a pair of these you would need to fork up a minimum of $725. LeBron James has had a number of his signature Nike shoe released every year. Some have been more popular than others, clearly, but one of the most coveted pairs is his Nike LeBron 9 Arnold Palmer. 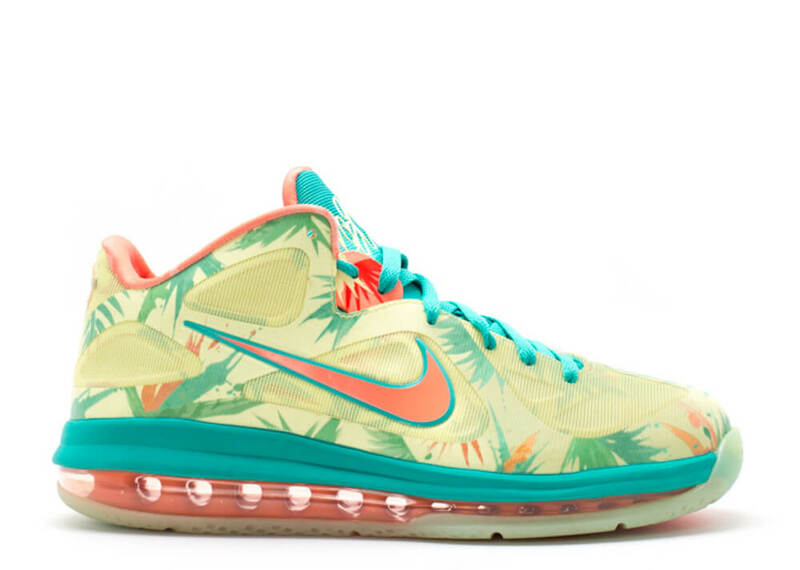 The tropical theme shoe wasn’t released to the public, so instantly boosts its value. The shoe is packed with summer vibes as it takes inspiration from Arnold Palmer who would win tournaments in a similar shoe. Now that’s it been some time since they were released, the Arnold Palmer sneaker costs $3,400. Not only is Pharrell Williams a musical savant, but he also holds his own in the fashion world. His brand BBC has been around for decades, and as of late, Williams has poured more efforts into his Adidas endorsement. As a result, the Hu sneaker was released. 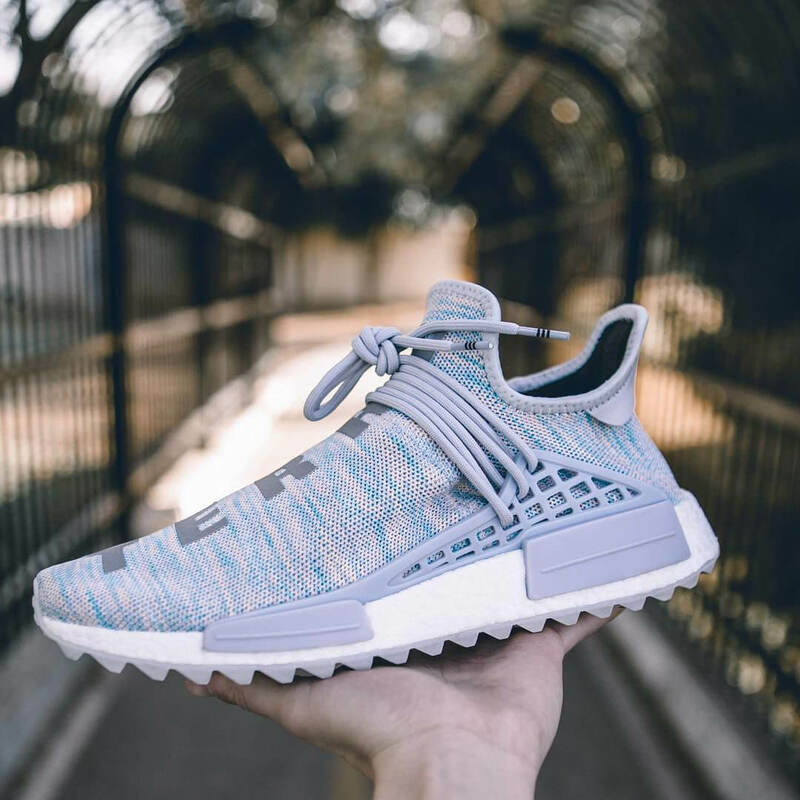 The Adidas NMD Hu Race BILLIONAIRE BOYS CLUB colorway is one of many Williams branded sneakers that has an incredibly high resale value. Retailing at $250 but only in one store in New York City, sneaker fanatics now have to dish out up to$4850 depending on your shoe size. When someone has offered millions of dollars just to obtain a pair of sneakers, sneakers become an investment. 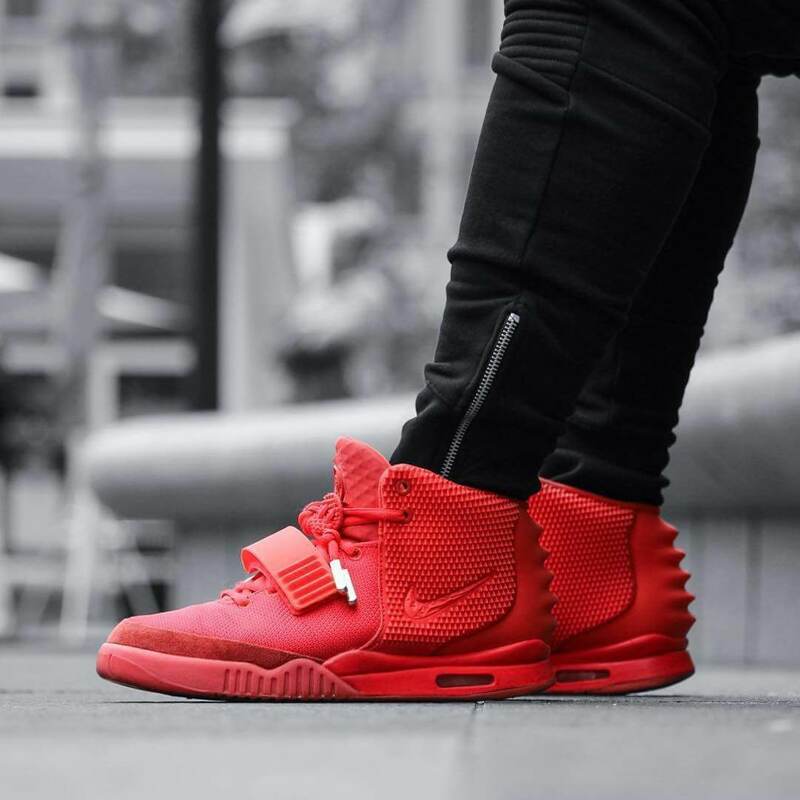 The Nike Yeezy 2 Red October are shoes that all sneakerheads have heard about, but some even question if they exist. To that point, we say they are real, we checked. And the high-top shoe will cost you $7,500 if your foot is big enough. These were released after Kanye West stopped working with Nike, making them the last shoe he worked on and hence the high price tag. Rick Owens is another high-end fashion brand much like Versace. You had better be collecting a healthy paycheck before you decide to shop here or else paying your bills might be a little hard. The shoe you see here is the Rick Owens Geobasket. The high top sneaker comes in various designs, including an iguana skin colorway which was released a few years ago. The most recent release, milk and black, are currently selling for $7,296 on the official website. When one of the biggest names in hip-hop history and the greatest basketball player to have played link up, this is the result. 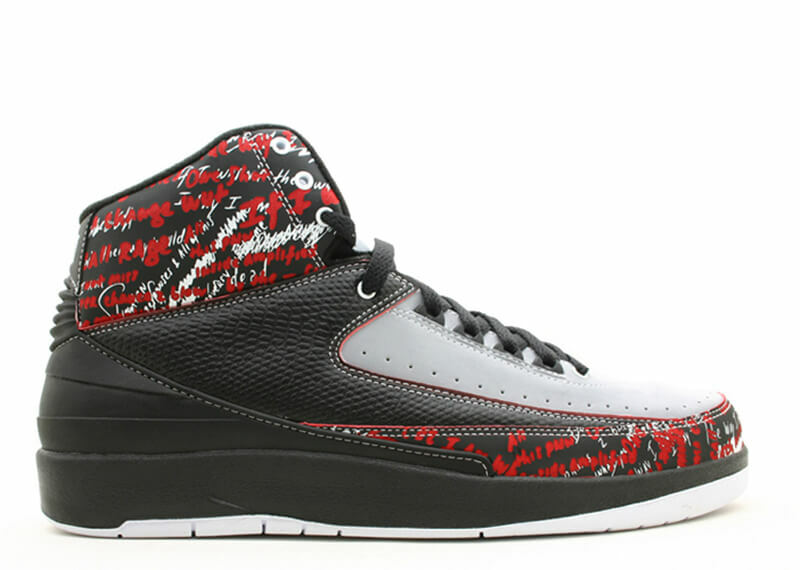 The Jordan 2 Eminem “The Way I Am” was a collaboration that was long in the making until it finally happened in 2008. The Jordan Brand seems to always pick the best partners for collaborations,bringing in a ton of cash. 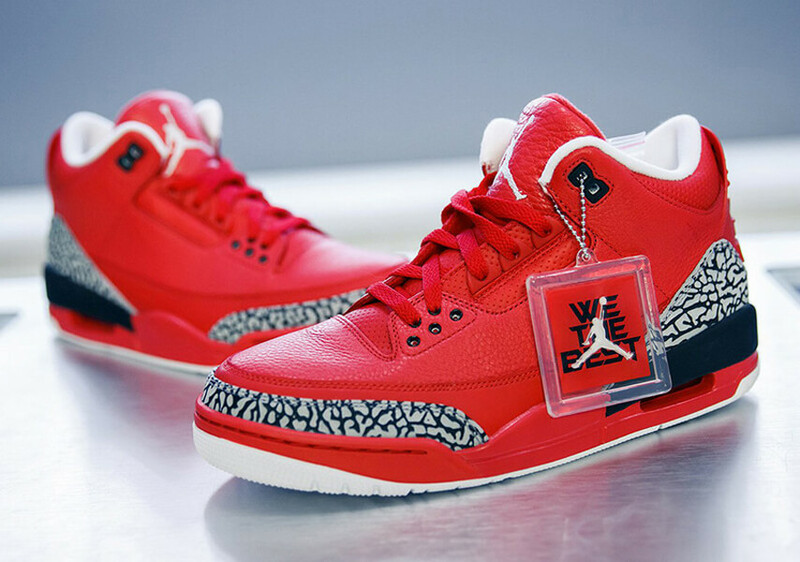 We’ve seen how much the Eminem and Drake Jordan’s have gone for, but what about the Jordan 3 Grateful from DJ Khaled? These shoes were only released in 2017 but already cost a fortune. The resale value of these shoes has jumped to $16,575. Only specially selected individuals who purchased his album were given a pair. Those people now are sitting on thousands for being loyal to DJ Khaled. Back again with another luxury brand and this time its Balenciaga. The brand founded in Spain released this shoe with an original price of $795. That’s a modest amount for celebrities and pro athletes, who were spotted wearing this shoe quite often. It’s the epitome of a dad shoe and one of the bulkiest sneakers ever. 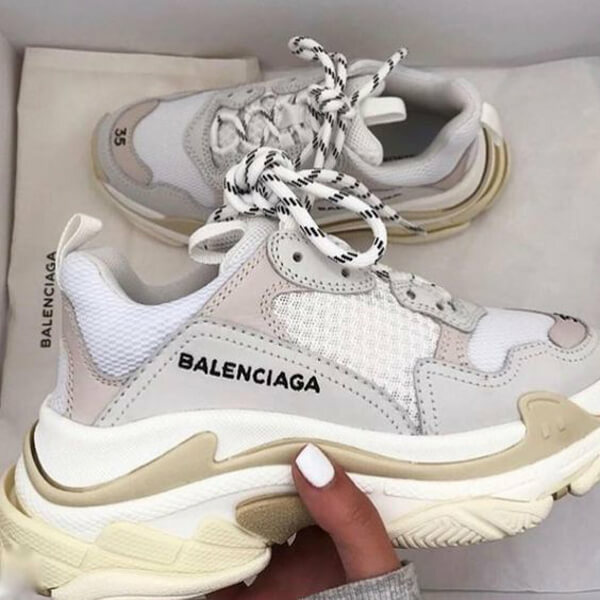 The Balenciago Triple S influenced a wave of other brands to bulk up their sneakers as well. You can buy this shoe now for $1,358. Kanye West has come a long way in the fashion world since he was asking Mark Zuckerberg for a loan due to being “broke” thanks to his fashion endeavors. One of his earliest collaborations was with Louis Vuitton, even before he signed a deal with Nike. To some, they feel like West didn’t get the design right on this sneaker and ruined it with the aggressive color combination. To others, they feel like it’s one of West’s best efforts. Do you think they’re worth $8,000? The first pair of Jordan and Eminem collaborative sneakers didn’t seem like that odd of a combination and weren’t as high as you might imagine. Maybe that’s why they came back for more and added Carhartt into the mix. They ended up with the Jordan 4 Eminem, Carhartt. The resell on these shoes is just astronomical. 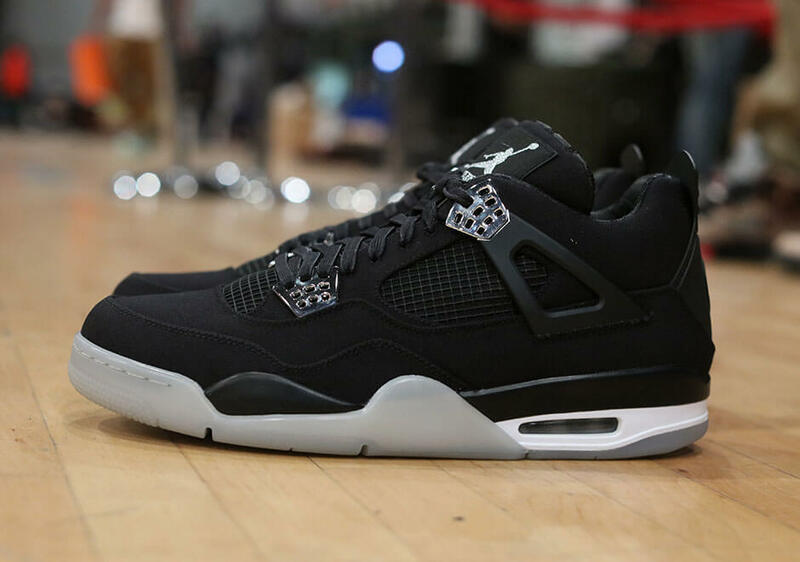 Since there were only ten pairs released to the public, those who received them were lucky, to say the least. They are now selling for $14,000. Which blows away the price of their last sneakers. Nike SB’s can accredit their high resale prices to the loyal fans of the shoes. The fan base completely eats up the different styles and colorways they release so often, but only the rare ones end up on the pedestal. The Dunk High Pro SB Flom have managed to end up on said pedestal. 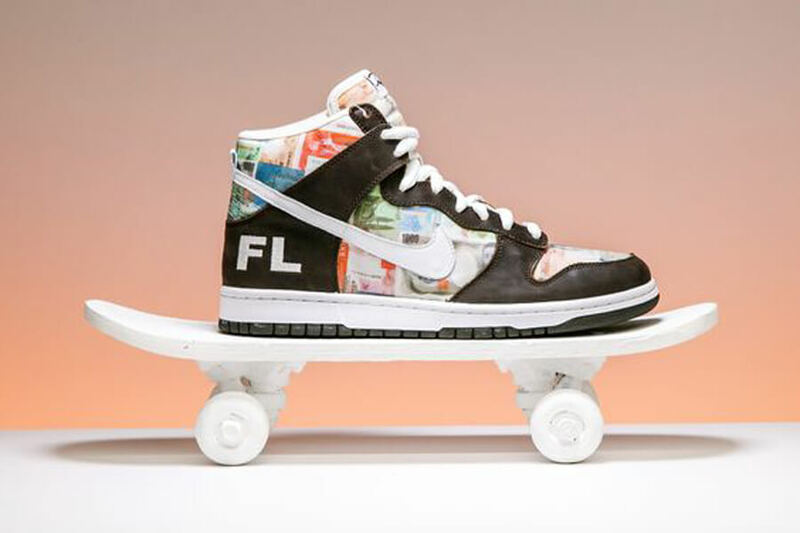 Maybe because there is a different collage of paper currencies printed on the sneaker the price is $10,000. What else could the reasoning be besides that? Certainly can’t strictly be because they’re Nike’s, can it? 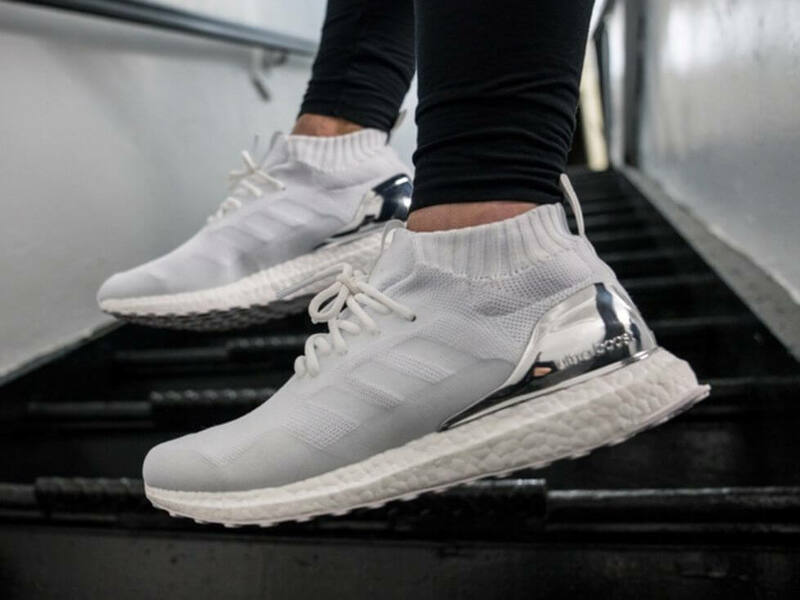 What happened over the past few years that gave Adidas their boost in clout and sales? Was it the addition of Kanye West or is their marketing scheme finally taking shape? Whatever the catalyst, Adidas has thrust themselves to the forefront in apparel. Their shoes are a big reason for this. We mentioned West and his Yeezy’s and earlier Pharrell Williams. Sometimes, it’s the sneakers you don’t expect to be significant. The Adidas Ultra Boost Mid Kith will cost you $4,000, simple design and all. We are well aware that Louis Vuitton isn’t known to sell a product that’s affordable for everyone. Their sneakers are no different. 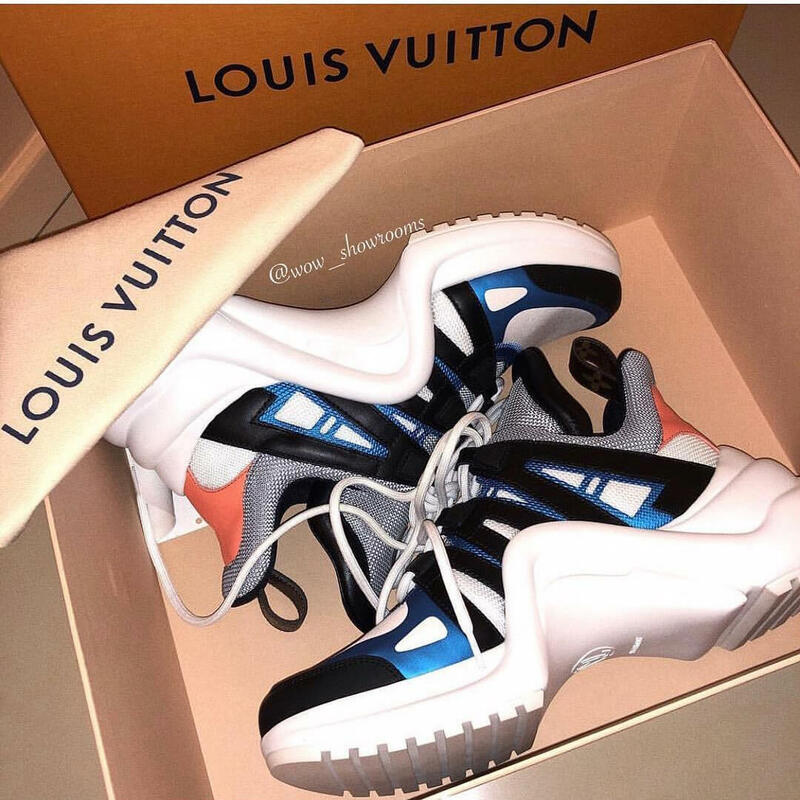 Their relatively new Archlite Sneakers follow the bulky trend and will have you feeling like you’re heading back to the future. For $1090, you can feel like the rest of high society and grab a pair of these puppies. They come in more than five different styles but are all priced the same. Having only one or two pairs of Kanye West shoes on this list wouldn’t have done the sneaker community any justice. In the summer of 2018, reports revealed that West was on the verge of becoming a billionaire thanks to his sneaker endeavors. If there’s one thing the artist knows how to do other than make music is sell shoes. 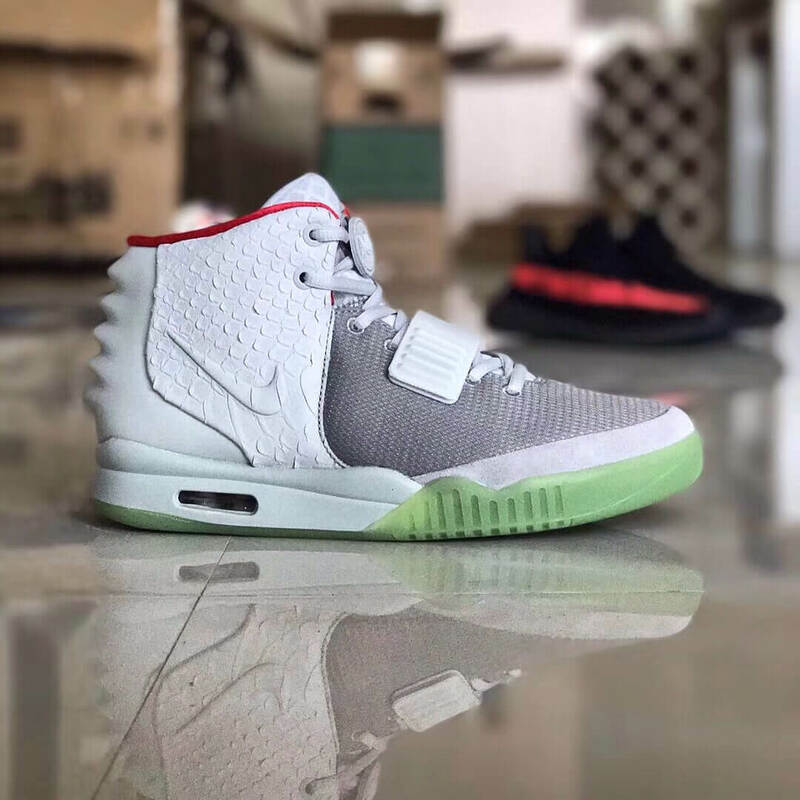 Nike might have kicked West to the curb but not before releasing a few of his designs, including these Air Yeezy 2 NRG. They go for $4,250. 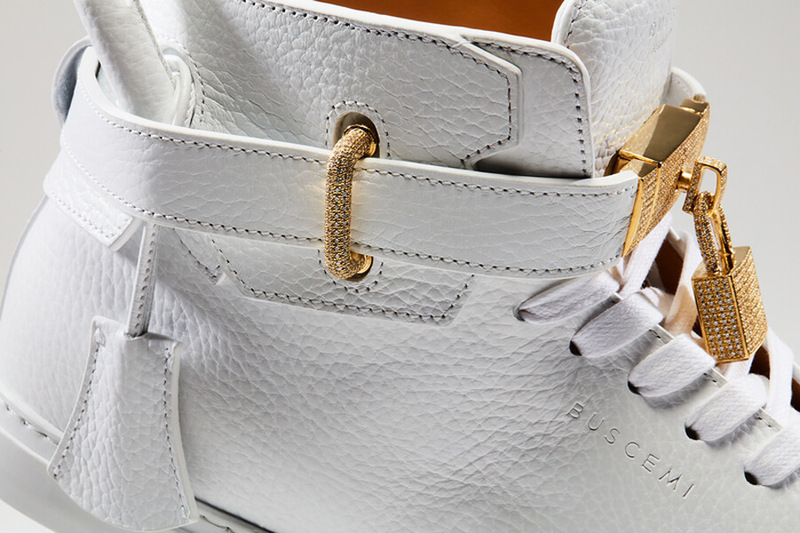 Buscemi created the most expensive shoe in retail history with the Buschemi 100 MM Diamond. A clean white finish complete with diamond and gold features are found on the sneaker. There’s a total of 11.5 carats of diamonds set in 18-karat gold. How much are they you ask? If you don’t plan on buying a house anytime soon, then you can purchase these for $132,000. It’s a very ambitious shoe, to say the least. Imagine what the resale value might become. This shoe right here is one of one. It’s the game-winning shoe of Michael Jordan himself that fans had a chance to own thanks to an auction. These were the shoes he played in during the 1984 Olympic Finals when he helped lead them to a gold medal. They were also the last pair of shoes he wore as an amateur before getting drafted in the NBA. 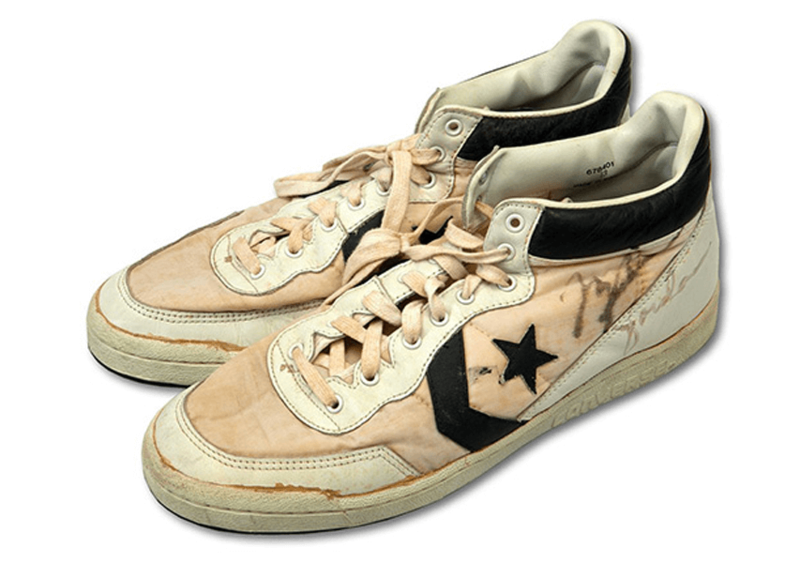 The starting bid for these Converse Fastbreaks was at a measly $10,000. The final price was $190,372.80.